The Eaton" is designed for those that prefer a 1st floor master suite. The living room features hardwood floors & opens graciously into the dining area and open kitchen. The kitchen offers plenty of counter and cabinet space, convenient door to the backyard, half bath, & entrance to the garage. The master suite is positioned in the rear of the cottage, features the laundry area, 2 generous sized closets, & master bath. 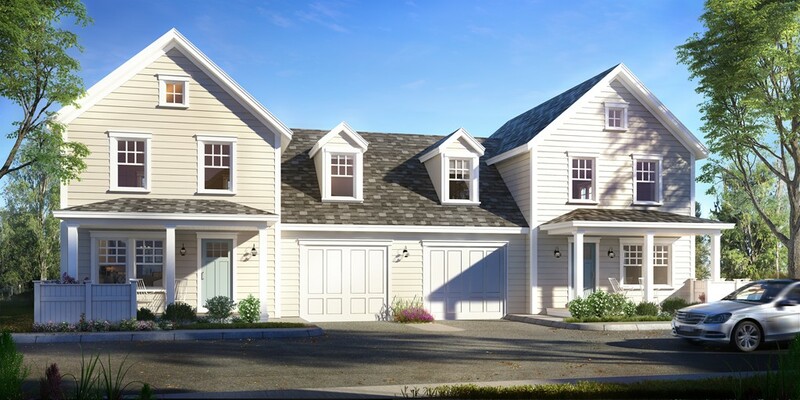 Upstairs you will find 2 bedrooms & a spacious office or storage space.The Cottages at Drakes Landing is West Newburys newest 34 home community, offering quality design & construction paired with a natural setting & desirable amenities. Here you will find access to community walking trails, community pocket park w/ patio, outdoor fireplace, & inviting front porches. Cottages at Drakes landing fosters the fundamental design principles of a pocket neighborhood w/ its common park, nested homes, & close proximity to local attractions.